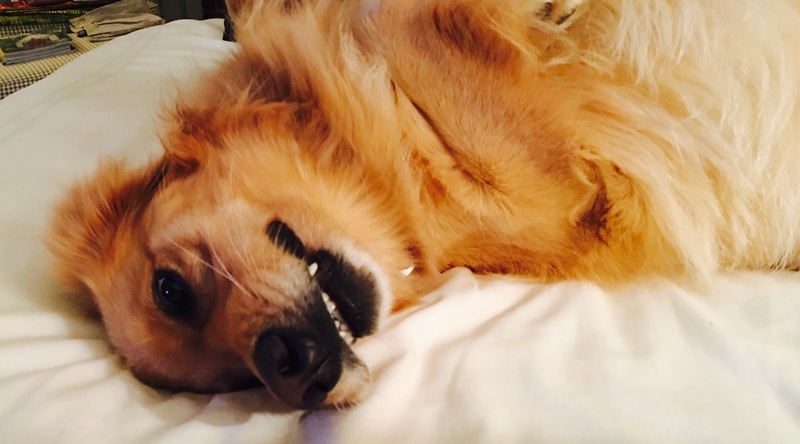 Until…5-year-old Fendi met 3-year-old Lily, the Golden Retriever who is extremely lucky she is so doggone cute and sweet…and is therefore still alive. After some hysterics, this belle did the only thing she could think to do. She commenced to shopping, scouring every website her little fingers could hammer out. Alas, no exact replacement found. 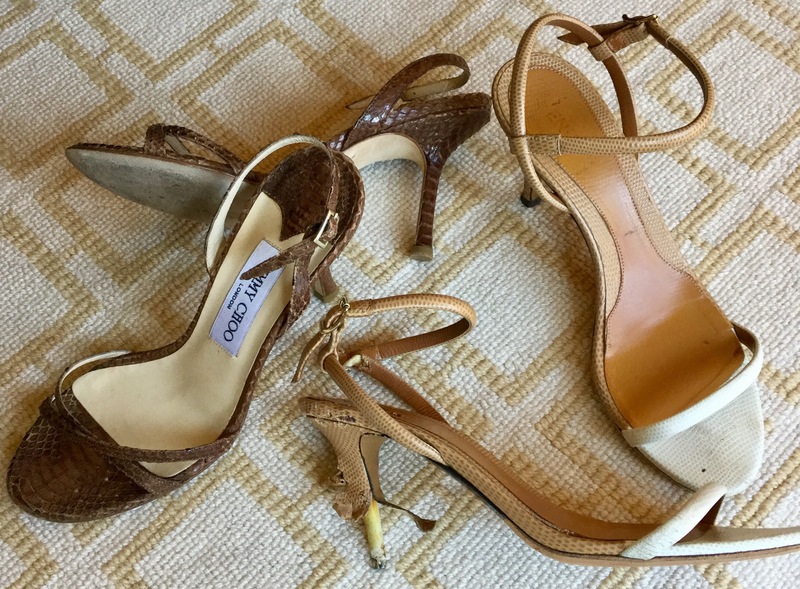 Enter Exhibit B…on the left…one vintage Jimmy Choo found at the “vintage/resale” site The Real Real. While seemingly nowhere near a logical replacement for poor little Fendi, Jimmy Choo actually possesses some qualities which just might do the trick (at least in some situations). Barely there and somewhat of a neutral color, Jimmy is just gonna have to do in a pinch! …and Lily remains oblivious to the gravity of the situation!